EASY, inexpensive and beautiful DIY spring wreath! These are my favorite kinds of projects/posts my friends! Quick DIYs that are easy to replicate and aren't going to break the bank. This one is especially easy! But the price? Seventy dollars?? 😳 It's gorgeous but I knew I could make my own. Then you just stuff them in! It really is so easy. Just place them where you want. LOVE it! Mine was $24 and is even bigger than the one online. Score! I used six bunches at $4 each. 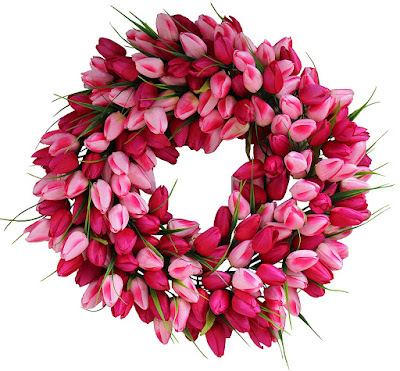 I had the wreath, but as I mentioned, you would easily come in under $30 for a very full and large wreath. If you go with a slightly smaller grapevine wreath you'd be able to make due with fewer flowers too. SO pretty! I just love it! Mine measures about 24 inches across, bigger in some spots. You can make it bigger or smaller with your placement of the tulips. Of course you can use any fake flower or greenery for a wreath like this! I love that I can take them out, keep them for next spring and reuse the wreath for summer. 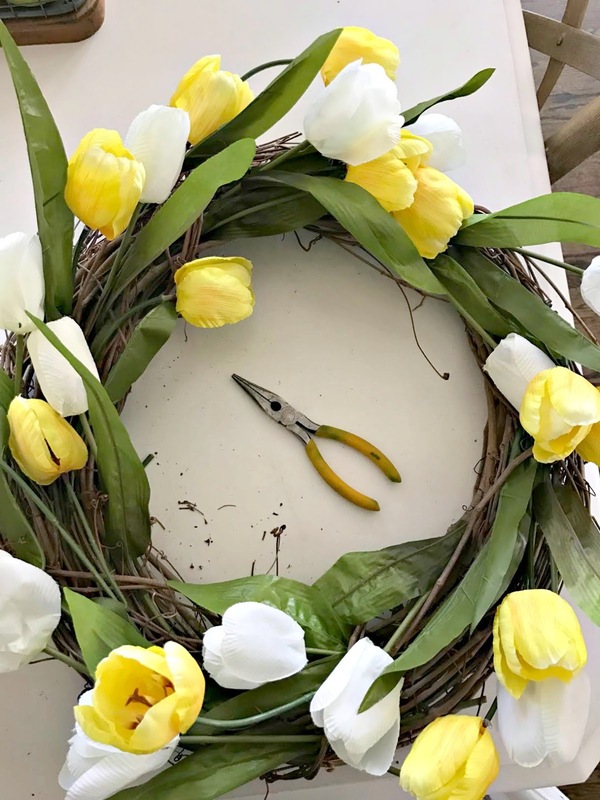 It takes maybe ten minutes to add the flowers in once you've got them cut. 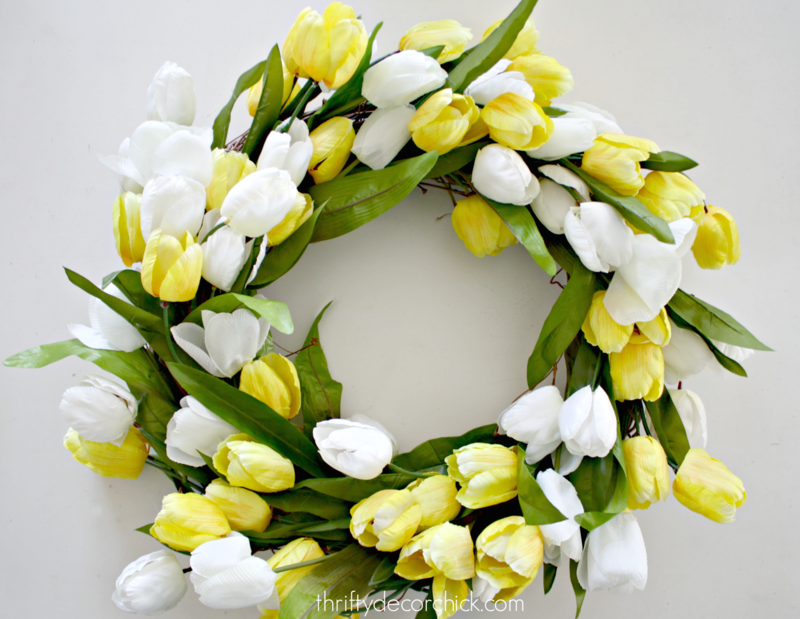 I've always just pictured wreaths for Christmas time, but a spring wreath makes so much sense! 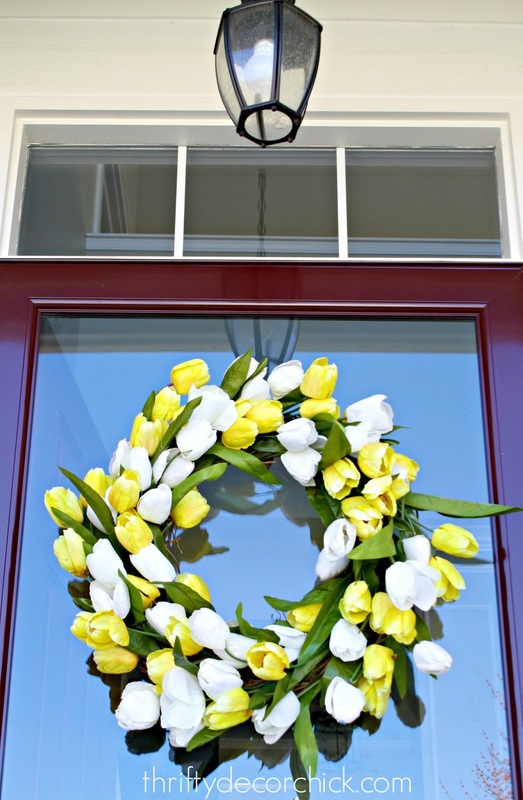 I love your yellow DIY, perfect for the new season! Gorgeous, great job!! 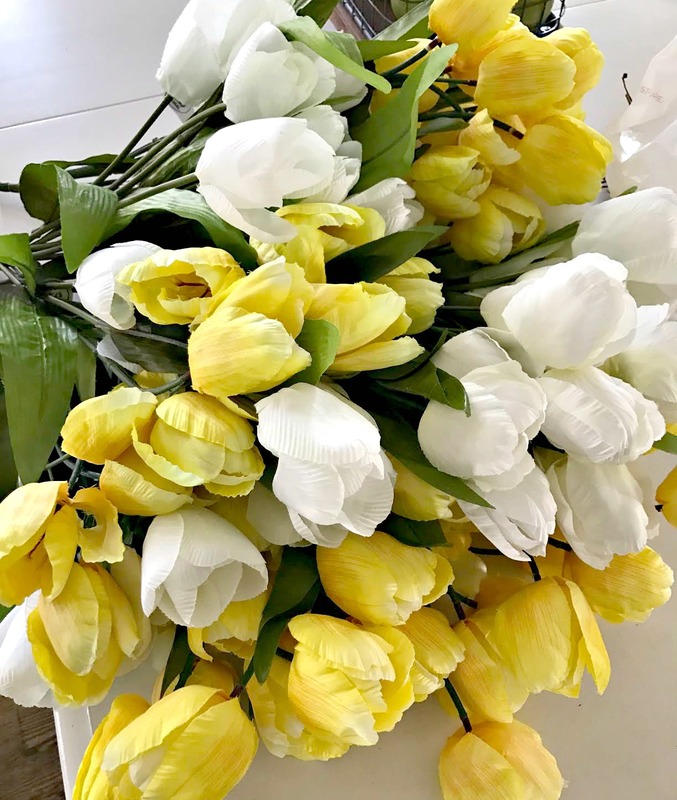 I love the yellow, it's such a happy welcome home! It's gorgeous - so nice and full! 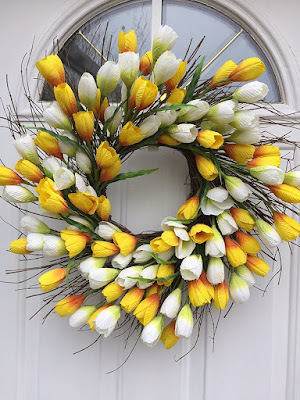 I made TWO tulip wreaths last weekend - we have two front doors - using the grapevine wreath like you showed - and smaller tulips from Michael's - I used a combination of ivory, peachy-blush and pale pink. 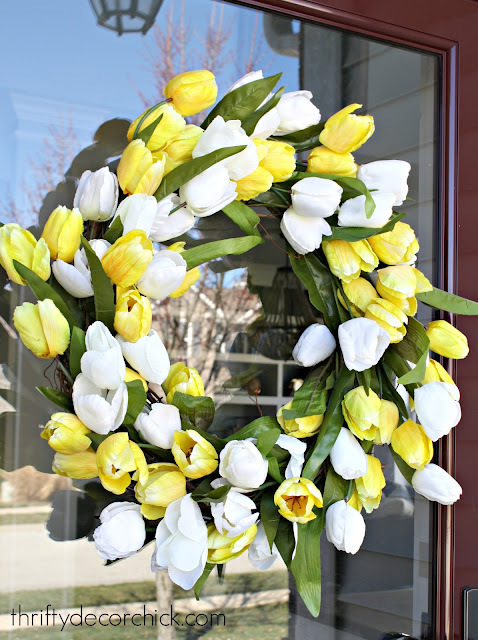 I purchased ribbon with the intent of making a bow for each but it seemed too much because I really filled the wreaths with the tulips. 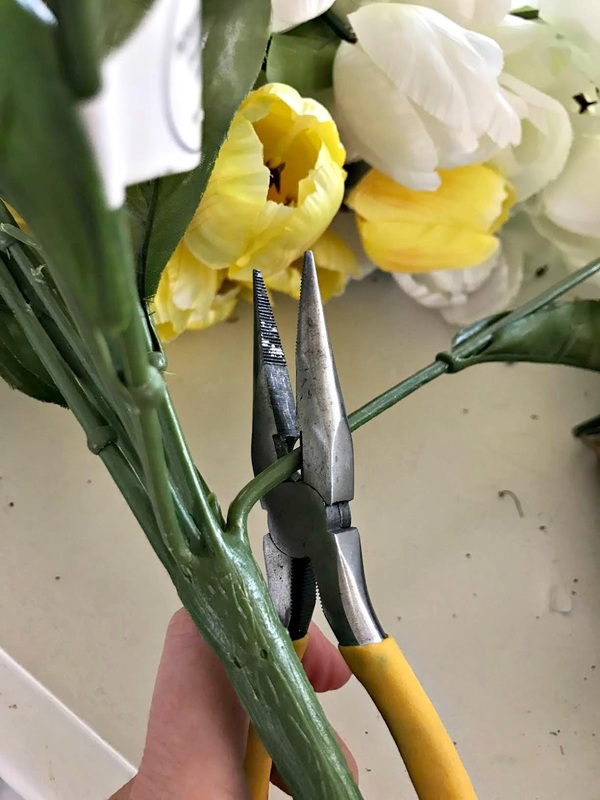 One tip is to push the leaves up the stem and as close to the flower as you can and then use your wire cutters. Not sure how I ended up as "Cincinatus"? 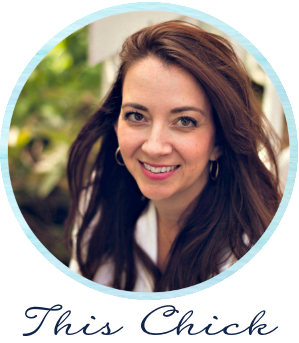 - I don't have a blog - do I need one to post? 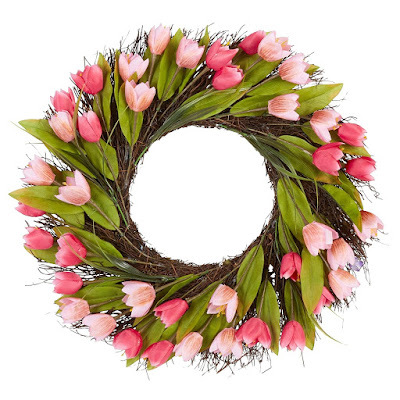 Anyway, there is a similar wreath, in pink, in the new Grandin Road catalog - for $139!! Wow, so easy and not too expensive since can be redone time after time. 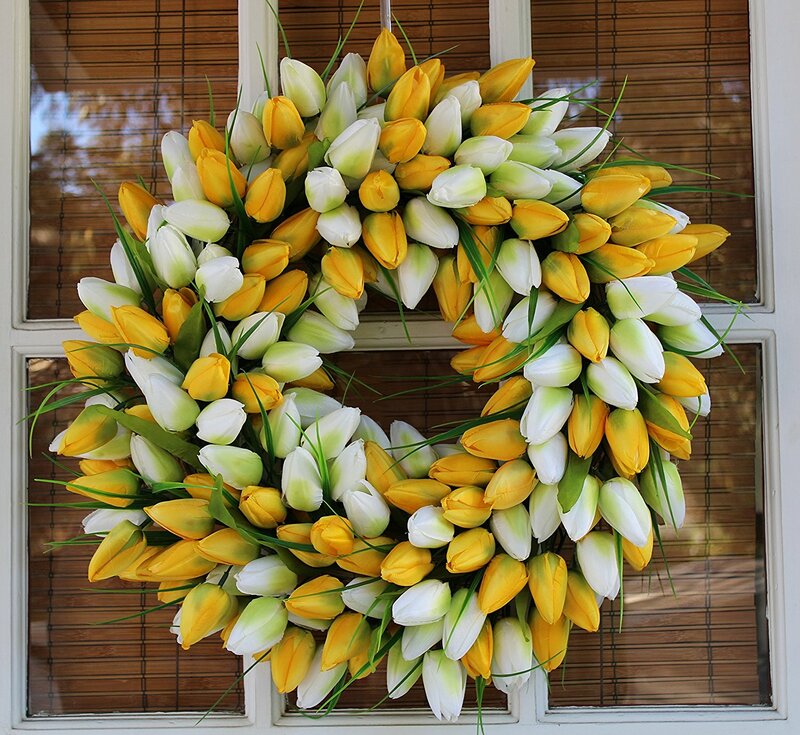 Your wreath is so very pretty, great job. Is there anything you can't do well? Am always so amazed at all you tackle in your home, phew, what a gal. Love idea of Cincinatus for pushing leaves up close to flowers for extra fill in and filler. Sure glad you shared your gorgeous wreath, needed a good cheer-up. Finally have internet again, was without most of Feb., finally changed providers. Excellent ideas here. Am going to see what I can find to make one of these up! So cute.... I'm going to make one. Thx! Your wreath came out amazingly Sarah! 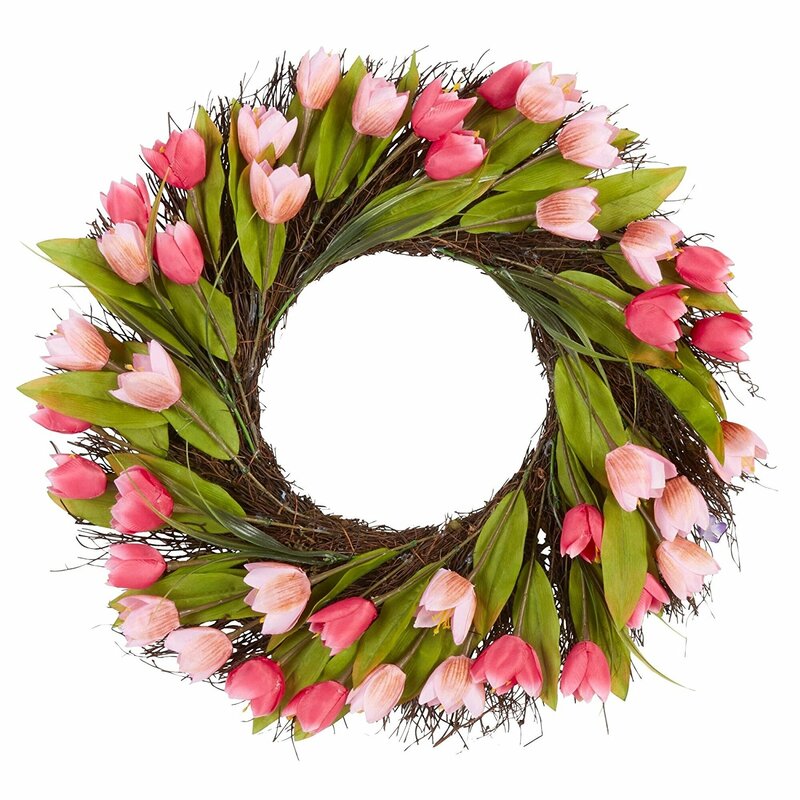 I couldnt imagine spending $70+ dollars for a wreath, lol. 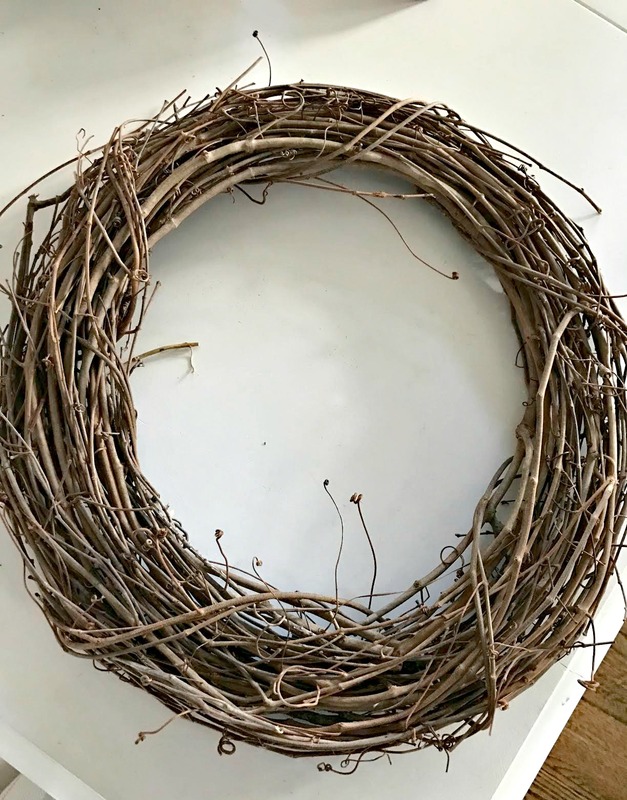 Grapevine wreaths are my fav too! Love the yellows and whites! I made one like this a few years ago in pinks and reds!